No Modi, no Rahul Gandhi - Can Indians think about Globally reputed figure? 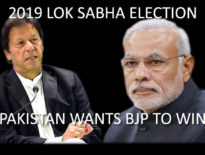 As the 2019 Elections picks up full throttle, both camps of the major parties, – the Indian National Congress and the Bharatiya Janata Party are clearly seen in the mood of mud-politics more than sharing their vision. In every rally, every interview, every opportunity they are talking about why the other would be terrible for the country. The BJP’s keywords are all about ‘Hindu, Hindu’ (Religious nationalism), ‘Pakistan murdabad’, ’70 years of Congress misrule’ (they destroyed the country). The Congress’ keywords are unemployment, distress of farmers, price rise & woes of demonetization, Rafale jet deal, Bank frauds, and the hastily implemented Goods and Services Tax (GST) etc. While both parties have created their manifesto and endless list of promises (Many of which are unkept ones, carried forward from previous times year-on-year! ), the focus seems to be on the “What was not achieved by the other” more than “What they will achieve” or “What will be done”. A quick look on their campaigns and promises clearly shows a lack for a vision which is economically provable, meaning there is no or little focus on the “How” factor at all. 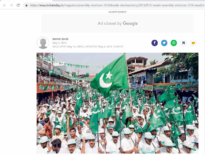 In its election manifesto in 2014, the Bharatiya Janata Party (BJP) had promised to create an additional 10 million jobs every year and this is what had attracted most first-time voters. However, a reality check shows a big difference. Unemployment is at all time high. The latest CMIE data shows that the unemployment rate in India was 8.2% in February 2019 and a leaked NSSO report had shown that joblessness was at a 45-year high in 2017-18! Despite being claimed as a booming economy and with increasing labor force, the process of job creation has been very slow indeed. Several economists (and not just opposition) has accused the Modi’s government of destroying jobs, by neglecting the labor-intensive sectors such as textiles, micro, Small and Medium Enterprises. Demonetization and GST had negatively affected these sectors and even after nearly two years since demonetization and GST, it’s being stated that the credit flow has barely made it back to the pre-demonetisation levels. According to the annual Public Enterprises Survey (PES) series, brought out by the Department of Public Enterprises, the number of casual and contract workers has increased to 3.8 lakh during the Modi government from just 36% in 2014 to 53% in 2018! To make matters worse, the Government is not even willing to accept this situation and keeps its act of chest-thumping on other trivial issues! If this was about the BJP, the Congress’ shows no promise of being any better! The very first promise that Rahul Gandhi has made is that he will give 20% of poor Indians up to RS 72,000 a year, till they get out of poverty! There is no discussion on how Congress will identify them or deal with the subsidies, and this may end of creating a hole on the tax-payers’ pockets or affect shares meant for development work. The MNREGA (Mahatma Gandhi National Rural Employment Guarantee Act) will now give 150 days of employment to rural workers up from 100. This act has already so many loopholes that middlemen are often accused of making money and in addition, there are arguably thousands of fake workers who reap benefits. Further, the manifesto also promises to fill up 22 lakh vacancies in government jobs which had been kept open, due to lack of requirement or being too costly for the governments. While this will help ease unemployment to some extent in an organized sector and understandably, the manifesto is meant for the poor and targeting for a specific vote bank to win against the BJP, the Congress Manifesto by Rahul Gandhi seems like too many promises which cannot be met, and if at all met, carries the risk of creating huge budget deficits and thereby stagnating Indian’s rise and growth. Whether its BJP or the alleged misrule of Congress in the past, the economic state of the country is indeed bad. It may not be as worse as the 1991 times and it indeed does not appear so bad if you have a look at the glittering shopping malls, if you read stories of Bullet trains and long bridges and if you see the rich and the wannabe-rich partying. But ground realities are grim. Let’s not forget that the economic crisis of 1991 was due to the large and growing fiscal imbalances over the 1980s and the trend in current days is therefore comparable to the 1991 crisis, end of the day. It was in June 19, 1991, that PV Narasimha Rao, then prime minister of India (two days before he was sworn in as PM) had realized how terrible an economic situation the country was facing. He had then gone against the norms to choose Manmohan Singh as the Finance Minister, and the duo (against all odds) had stood together to bring the historic reforms of liberalization by virtue of which India’s economy was not only saved but actually put on a growth path. While times and politics have been unkind to Manmohan Singh due to his last tenure as an (arguably unsuccessful) Prime Minister of the country, the lesson from 1991 was to have an expert of economics to make key decisions for reforms and saving the country’s economy. If lessons learned must be used, India now needs an economist as a leader. But who do we have? Whether one likes or not, my personal opinion is that Man today is former RBI Governor Raghuram Rajan. A former Chief Economist at the International Monetary Fund who was denied a second term as Reserve Bank Governor by the BJP-led government has recently denied being involved in politics after speculation, following Rahul Gandhi’s meeting with him. However, he did confess to being open to opportunities and whoever comes to power needs to cash on this opportunity. Raghuram Rajan has talked of ways and policies, focusing on short-term actions that could put a lot of projects back on track. He has hinted of how Land acquisition, bank clean-up, policies of reviving agriculture could be top priorities for the reform needed. We do need someone who can drive the political leadership by showing them the context and importance of tasks such as shifting development focus towards labor-intensive sectors, making higher investments in health and education to improve productivity, progressive taxation to remove unnecessary subsidies to corporates, etc. It’s an “Act now or never” situation the country is in and unfortunately, our leaders selling high hopes do not seem to see the dark horizon to which we are plunging.